May bypassed spring and jumped straight into summer again. Long, warm days has the garden really blooming. 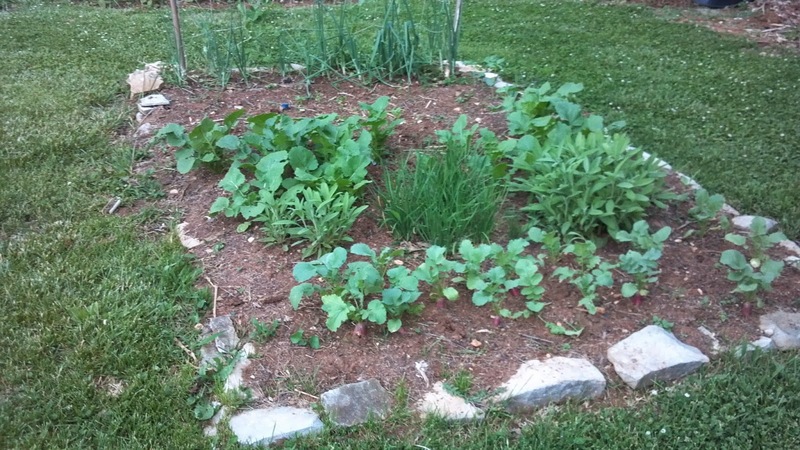 The peas, radishes, and turnip greens are the stars of the month. Adding some sage and chives to daily meals is a real flavor bonus. 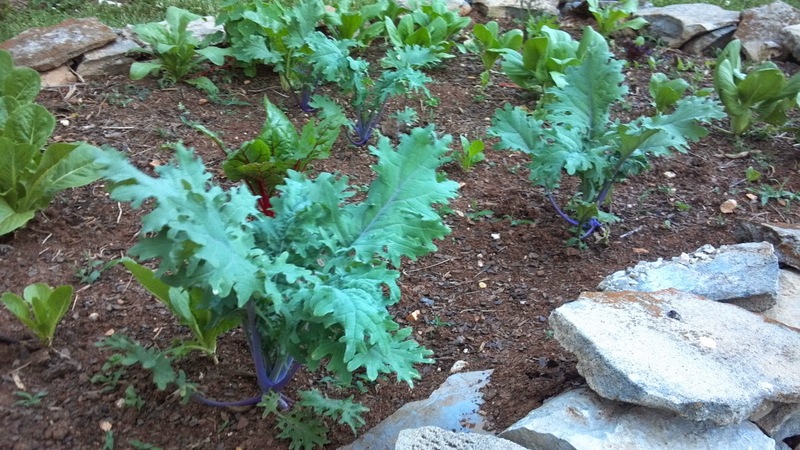 The traditional greens of lettuces, chard, and kale are just about ready for harvest. 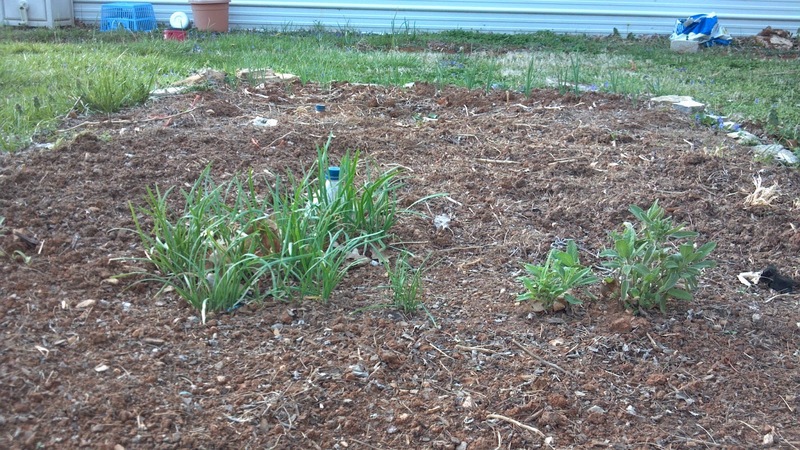 I started the second progression plants in the shadow of those that are almost ready. 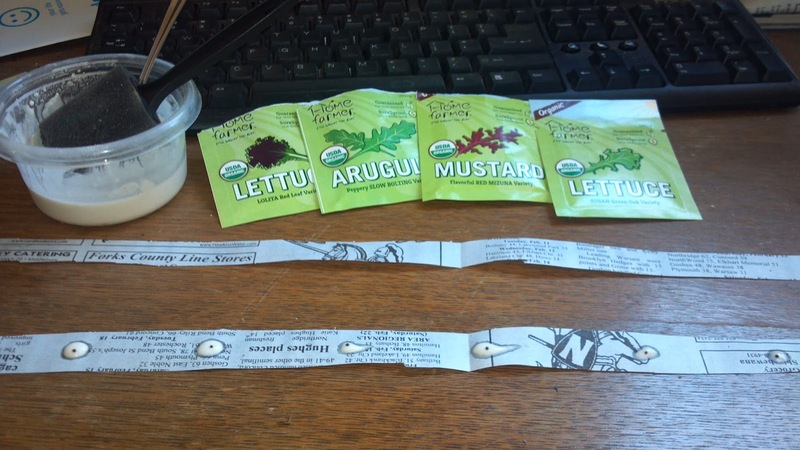 The seed tape experiment is finally starting to show up. Nice little riot of color. It seems to require an additional 2-3 weeks to germinate, so next year's planting may have to be done in late February instead. 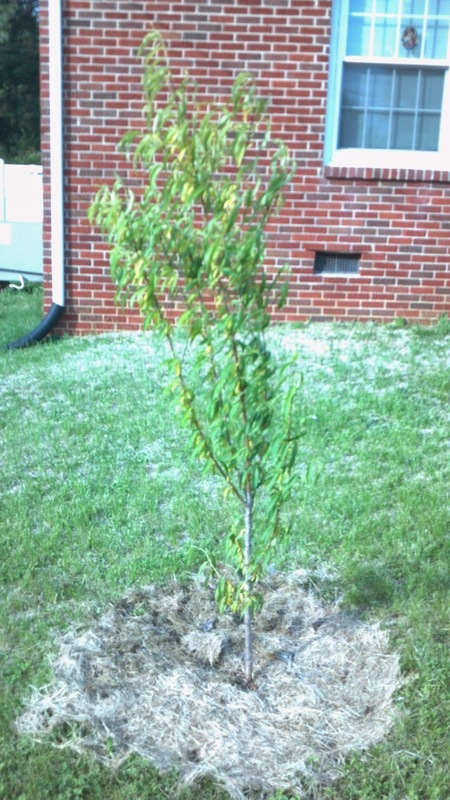 I've moved the almond tree into the front yard, and it has take well to the new location. 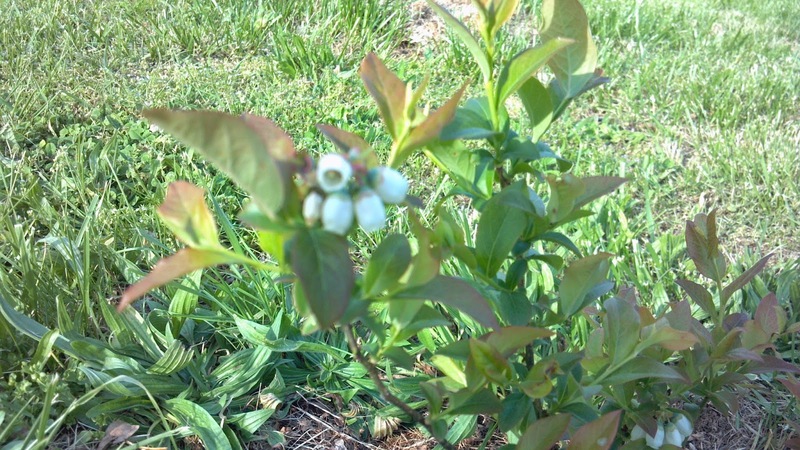 Blueberries are getting their first blossoms this year. 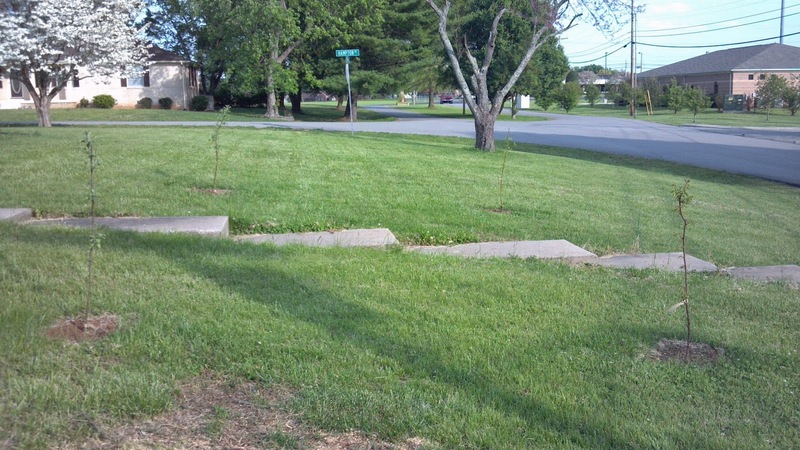 Added 4 fruit trees along the front sidewalk. Hopefully they'll grow to their maximum 12' size and frame the sidewalk in nicely. 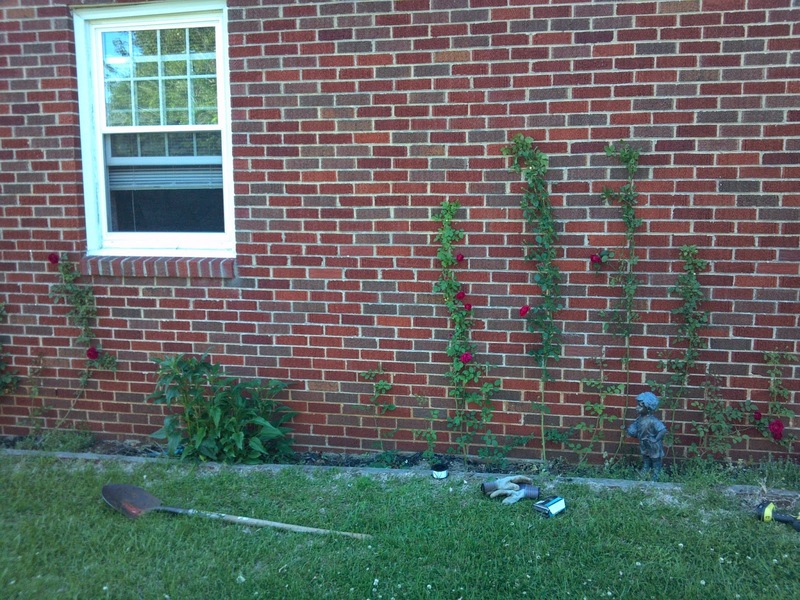 Last year I had transplanted some truly pathetic looking roses that were straining on the north side of the house. 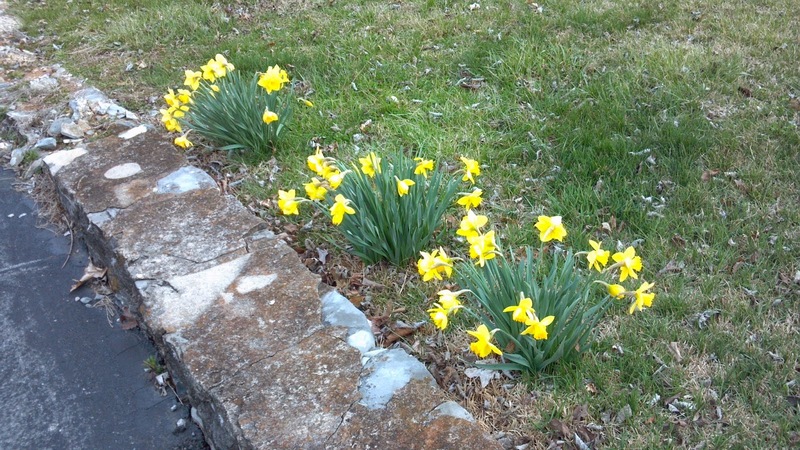 They've really grown in nicely on the east side but are in need of some training. Looks a little better anchored into the masonry. With luck, next year they'll continue to grow and I can start making little curves and shapes with them. Long overdue update. I tried to start some seeds in cheapo potting soil and they just didn't do well. 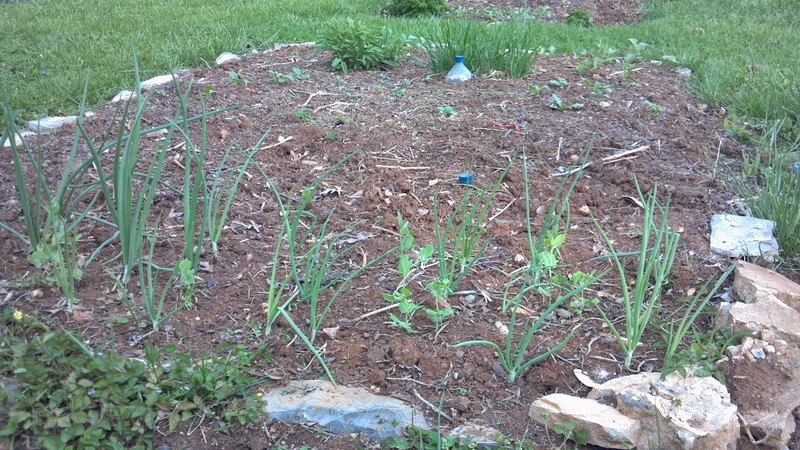 I'm going to stop buying bagged soil and try to source it locally instead. Not thrilled with the price or the petroleum byproducts in the bagged stuff. This was supposed to be some turnips, onions, chives, and celeriac. 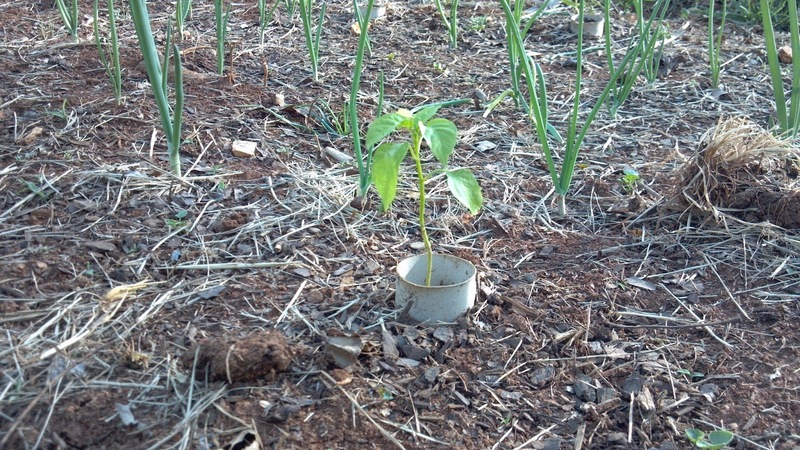 The pepper seedlings have taken well. 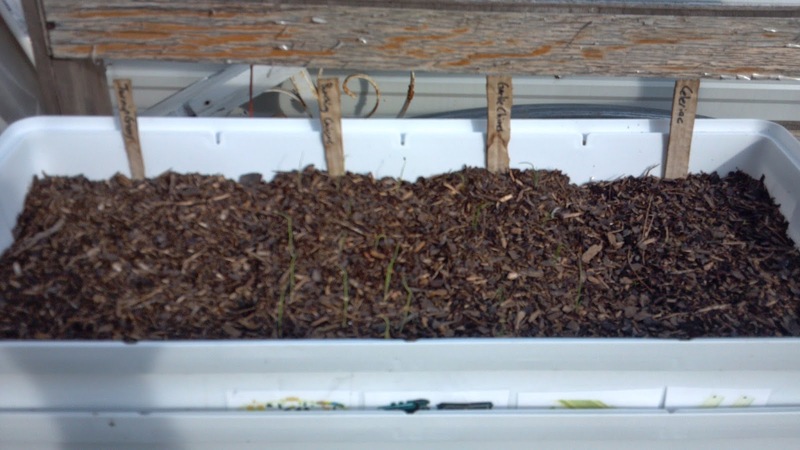 Though I had to modify the peat pod seedling kits. They work wonderfully to get a seedling going. But the soil seems to leach all of the moisture out of the peat, and then it becomes hydrophobic. So even while the surrounding soil is nice and moist, the plant roots are stuck in a dried out ball of peat. 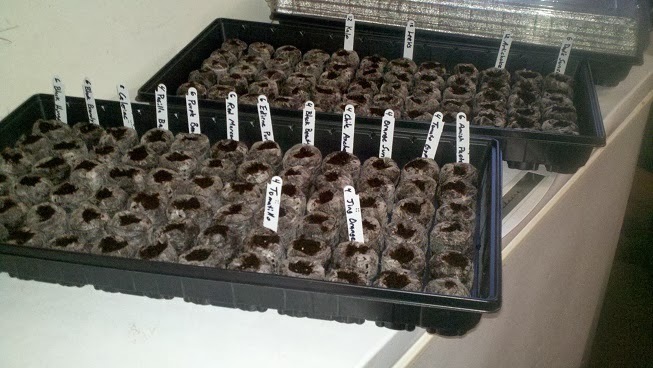 Next year I'll try moving the seedlings into small pots instead of directly into the garden. The Jerusalem Artichoke patch is quite a bit bigger than last year. 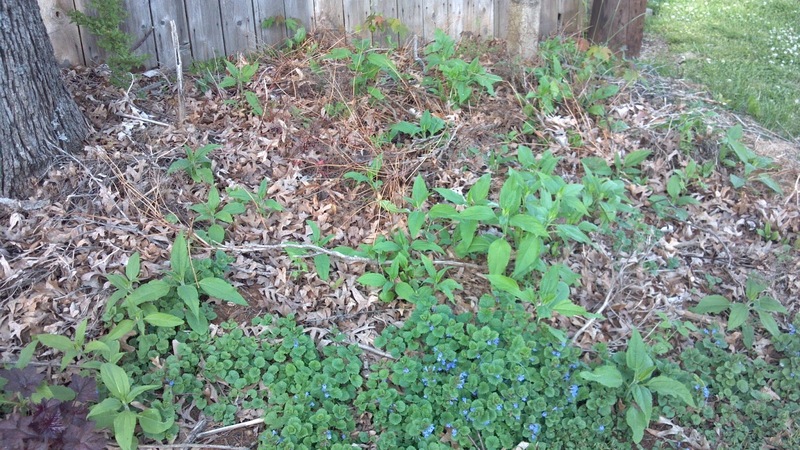 I'll leave this little corner wild and overgrown with the bramble cutoffs tossed in the middle. Three rabbits have taken up residence in there from time to time. They've left most of the garden alone and prefer to chomp on the clover. The new additions this year included 4 grapes. The concord seedless are coming out quite nicely. 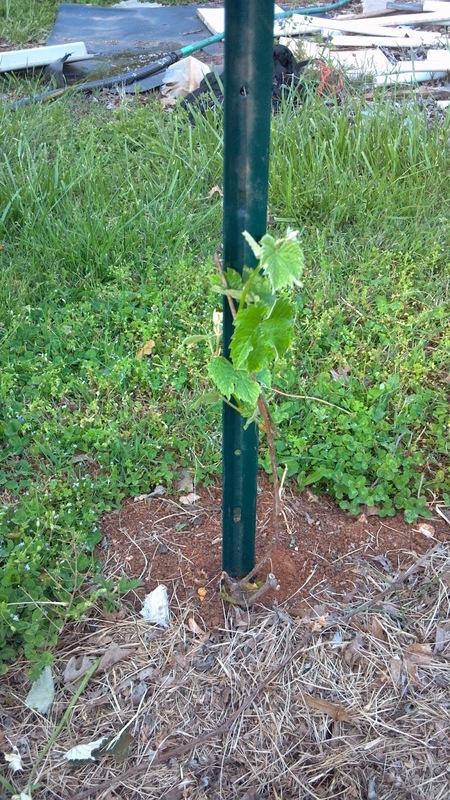 I also planted Kiwis this year. Both of the female plants are doing well, but the male dropped all of its leaves and looks to be quite dead. I'll wait a few months to see what happens. 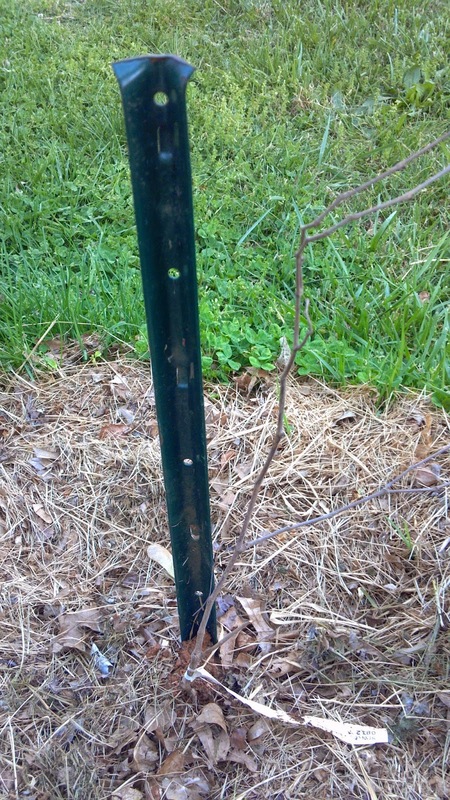 The two muscadine grapes also look dead for all intents and purposes. I hate waiting. 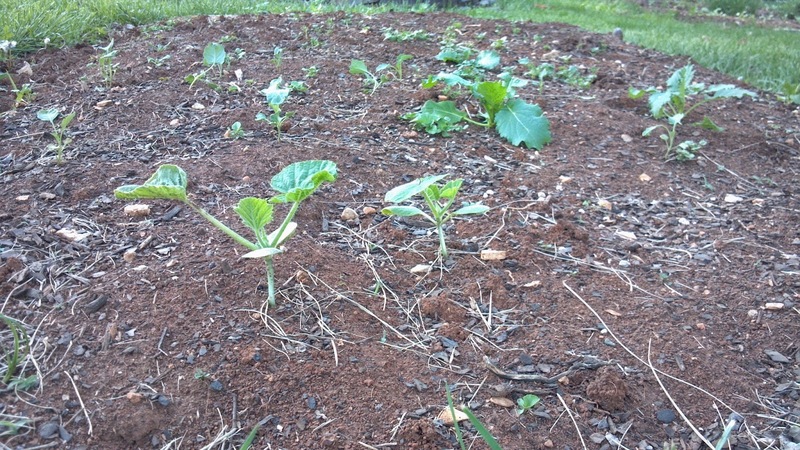 I opted not to grow corn this year, and converted the bed to grow melons, cucumbers, and bush beans. 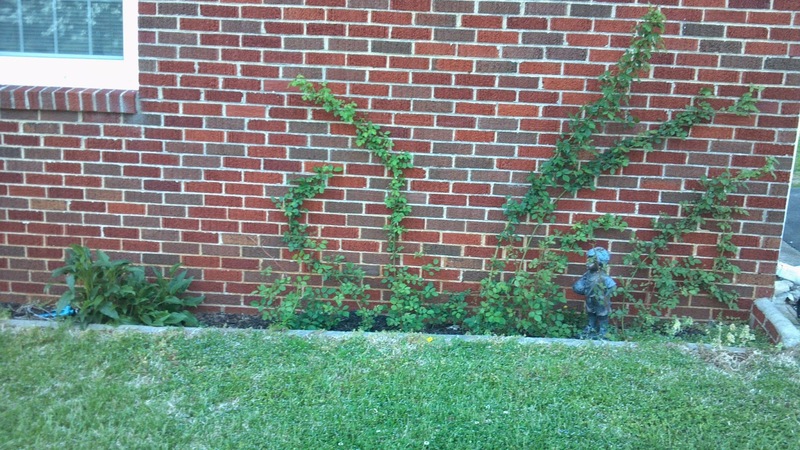 And then finally we have the tomato patch. 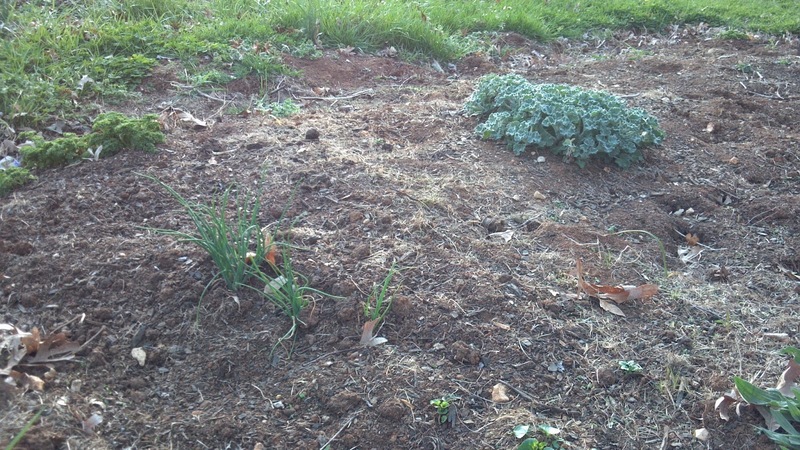 Sadly, all of these lovely baby plants that were grown since January got completely taken out by a late frost. 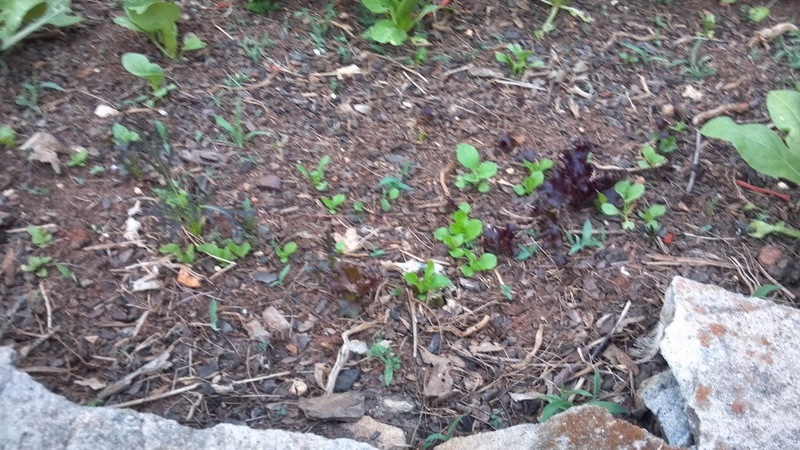 The backup seedlings just never took off, and even the backup, backup direct planted seeds didn't do anything. I had to resort to buying plants, ugh. oh well, next year. 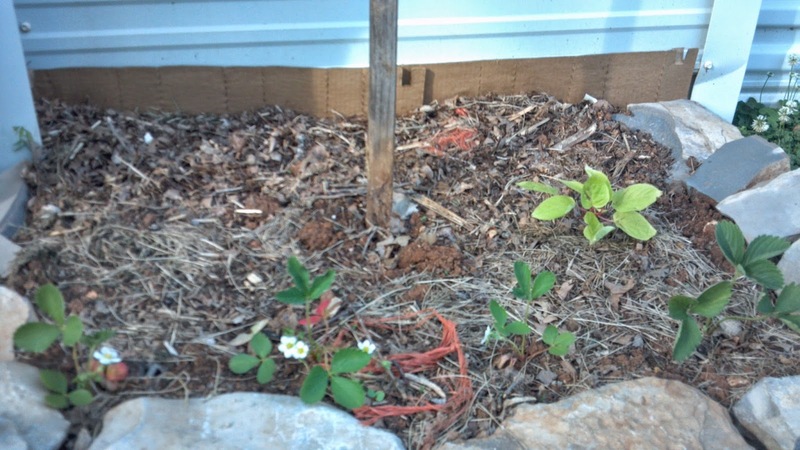 Just a pleasant picture update of the strawberry patch. 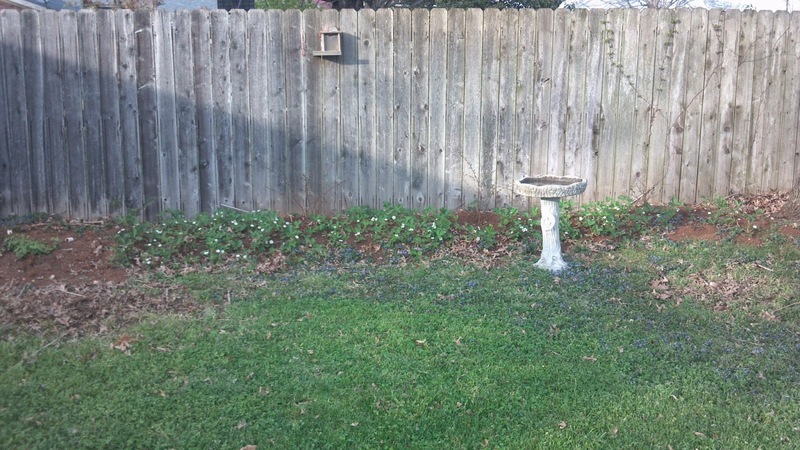 Can't wait for those blooms to turn into tasty berries! So I'm growing Lasagna!! No not really. This is just a name given to starting a new flower or garden bed with a layer of cardboard, to kill the grass and suppress weeds. 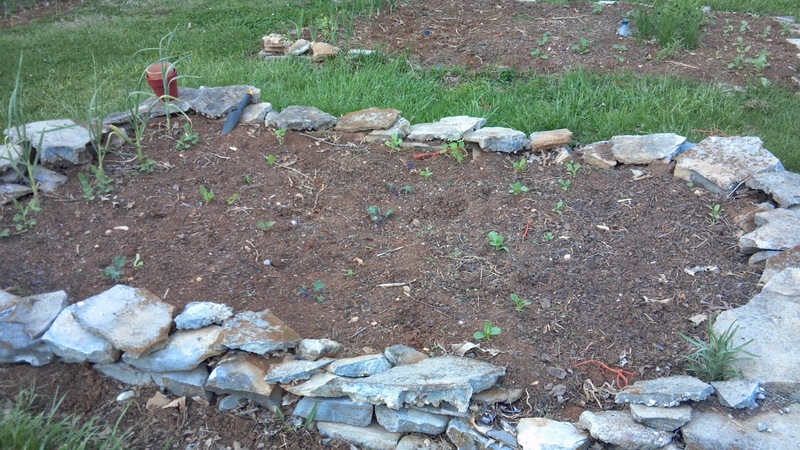 Then layering mulch, dirt, and compost on top of it. As the materials decompose, the turn into rich top soil. 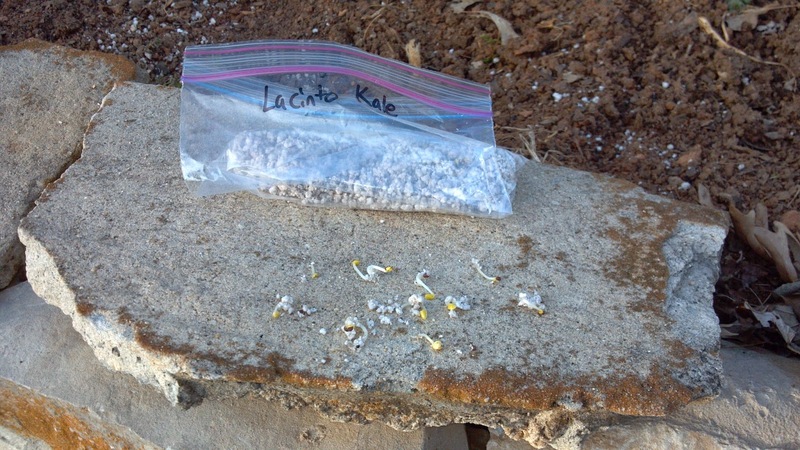 The decomposition also brings in creepy crawlies to "till" up the soil underneath your cardboard. 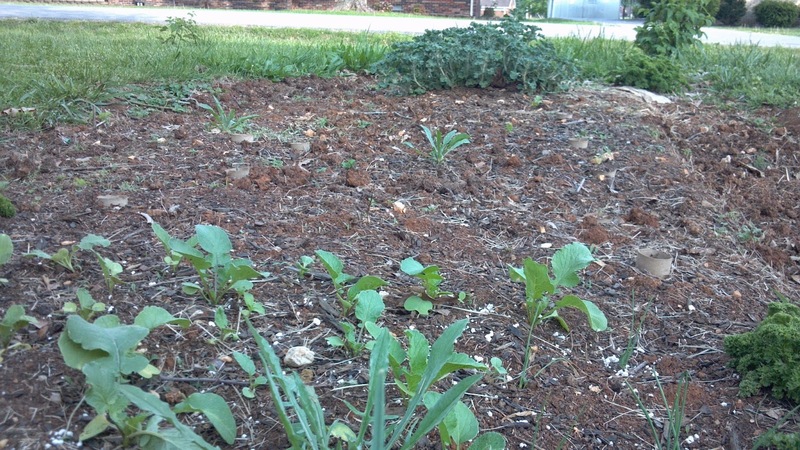 Very little energy input + reclaiming potential mulch from the landfill = cheap and easy way to establish a new bed. 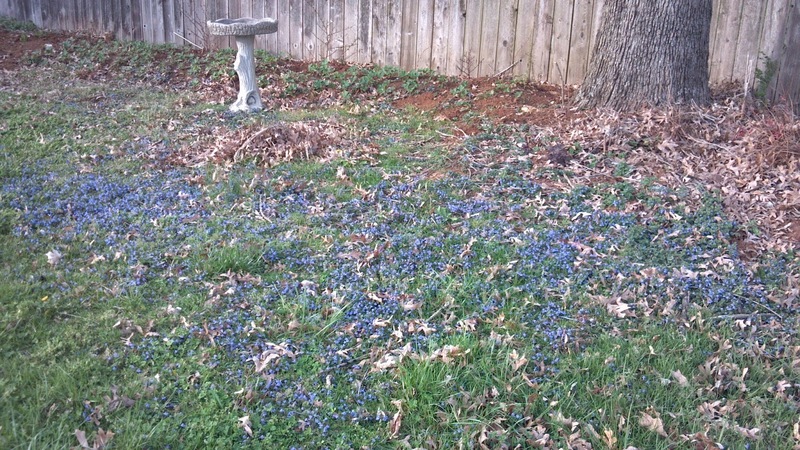 So for this area along our fence, I pilled up about 2' of leaves from this last fall on top of the cardboard. Then added a 2" layer of the heavy, red clay we call soil down here. 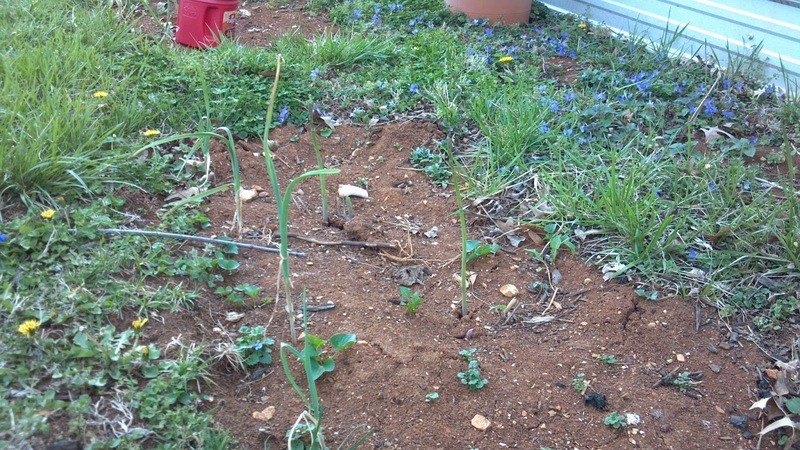 This is not technically, a well constructed lasagna garden, but I'm interested to see how it goes. 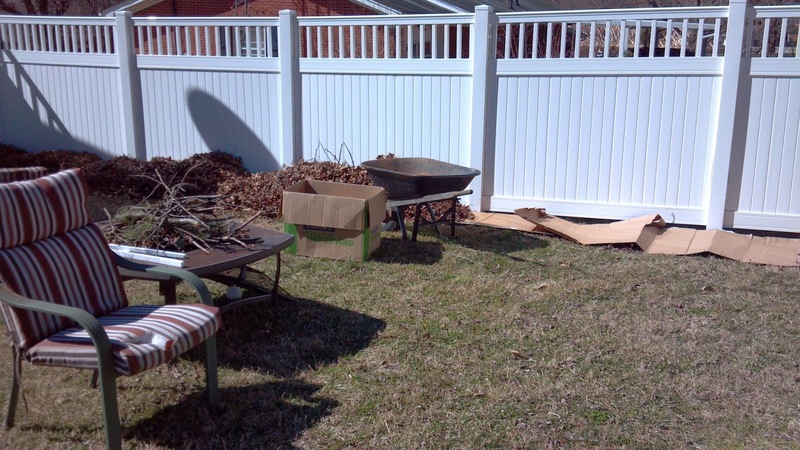 This is an east facing fence. 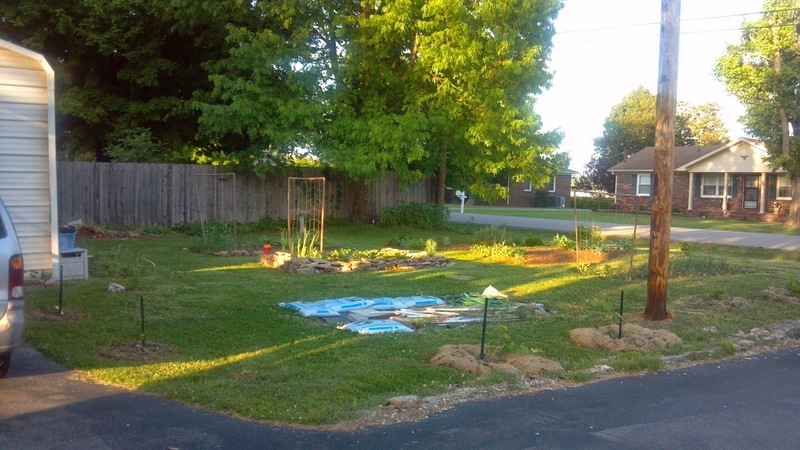 I'm hoping to grow amaranth and sunflowers along the back, strawberries in the front, and then assorted herbs and artichokes in the middle.